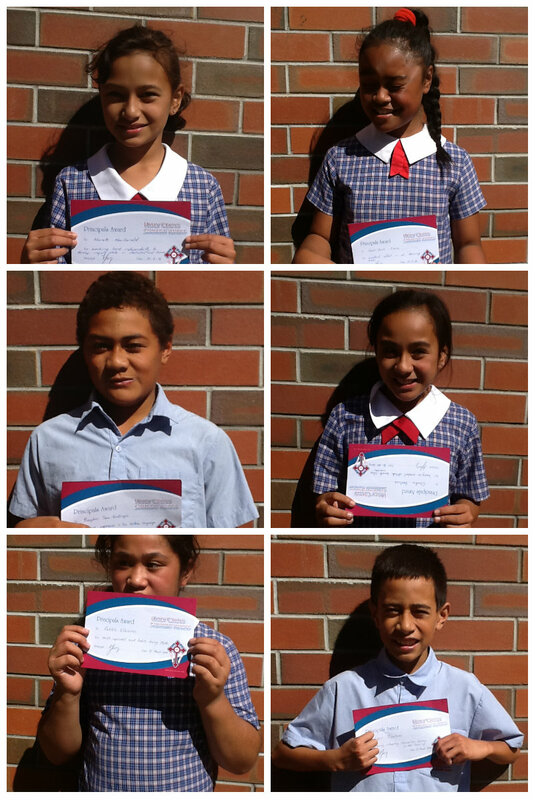 Congratulations to the following who received Principal’s Awards this morning. Monette MacDonald – for working hard independently to develop inquiry skills in Statistics and Science. Leah Jane Sione – for an excellent effort in all learning areas. Braydon Seu-Easthope – for excellent expression in his Written Language. Claudia Vaotuua – for having an excellent attitude towards class activities. Faletolu Efaraimo – for much improved work habits during Maths. Lyric Togiatomai – for sharing interesting observations during Guided Reading.